The 100 - Sic Semper Tyrannis - Review: "Power Struggles"
The 100 returned last night after a badly timed two weeks off. The momentum generated in the episodes prior really needed to carry forward into this week's episode, which was yet again reasonably strong. Ian Samoil directed "Sic Semper Tyrannis", which was written by Miranda Kwok. It's this duo's second episode each in their respective roles. Power struggles were the name of the game in this hour. Both Wonkru and the Eligius prisoners were fractured badly thanks to plans to disrupt and overthrow their leadership, which created several very intense moments throughout. In the previous episode, Bellamy poisoned his sister with some potent algae from the Ark, with the plan being that Indra could take power of Wonkru temporarily, which would be plenty of time for a surrender to be negotiated with Diyoza and the Eligius prisoners in Shadow Valley. The original forecast for the length of Octavia's incapacitation was a week, but in reality it was likely a couple of days at most. If we're honest here, this isn't the first time Octavia has recovered more quickly than expected or survived something that should have killed her, so let's put that plot hole to the side. When Octavia was out for the count, the lack of support for Indra as the stand-in leader backfired badly, with a heated standoff in the arena eventually confirming that the march to Shadow Valley would commence anyway. The writing was on the wall long ago for what would come next. The only thing that could override the intended actions of the Wonkru army and Octavia was a new Heda ascending. That of course led to nightblood Madi taking the Flame from the Flamekeeper, Gaia. Support for this plan was even more limited than it was for Octavia to be replaced, which meant only Bellamy, Gaia and Indra were in favor of this, with everyone else, including Clarke, firmly against it. 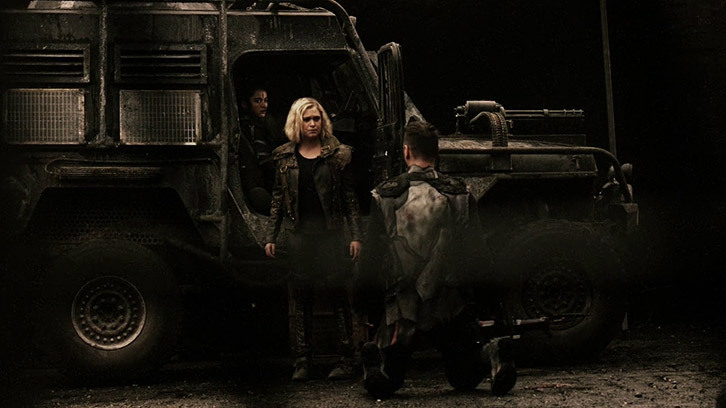 Before Madi could wake up and begin issuing orders and swinging the Wonkru army loyalty away from Octavia towards herself, Clarke and Madi were taken to the rover, but fortunately Madi woke up in time to order their intended executioner to stand down. What will happen now is unclear, however in the hour's final moments the three traitors were seen on their knees in the arena, with a high likelihood being that they will have to fight to stay alive in typical Wonkru fashion. What happens to Clarke if I don't do this? It seems too short and simple, but that's essentially what happened in Wonkru. Clarke had little to do with what happened because she remained chained up and disagreed with the plan to make Madi the Heda because of what that meant for Madi. Niylah hasn't done anything of substance all season, but she popped up again simply to free Clarke because they were both interested in stopping the ascension. It was heartening to see Madi more concerned about what would happen to Clarke than anything else before she took the Flame, and that despite their differing paths in the last couple of episodes, especially when it came to Madi joining Octavia's army, they're still fiercely loyal to each other. More on Wonkru later on. What's weaker than an enemy at war with itself? For me, Shadow Valley was the more enjoyable of the two settings. Diyoza had to play all her cards right to get out of her attempted coup alive. After returning to the camp at the end of the previous episode, McCreary and Diyoza had their first face-off in Abby's lab, where she was successfully treating people with her new piece of equipment that was built by Raven. Under Diyoza's orders, people that were trusted by Diyoza were being treated first, which was a smart move on one hand because it rewarded loyalty to her, but it was playing with fire because if word got out then that favoritism wouldn't go down well with those not on her nice list. Murphy was the one to begin the chain reaction of infighting that he hoped would allow him, Raven, Emori, Echo and Shaw to escape. He deliberately told McCreary that Abby had found a cure and that information had been withheld. Diyoza was one step ahead and called a code blue response which directed everyone to defend Abby's lab. That assembled everyone together to allow Diyoza to explain her reasons for not publicly announcing the cure, and the planned settlement Kane was working on, but a rock thrown into the crowd by Murphy kicked off a shootout among Diyoza and McCreary loyalists. 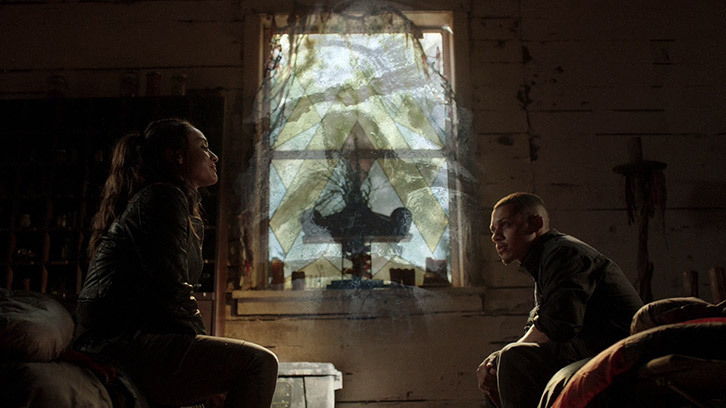 During the fight, McCreary nearly killed Diyoza, and it was that point she revealed her unborn child was his also. What Diyoza and McCreary saw in each other that lead them to procreate might not be known, but it's difficult to imagine. The escape plan was in motion. 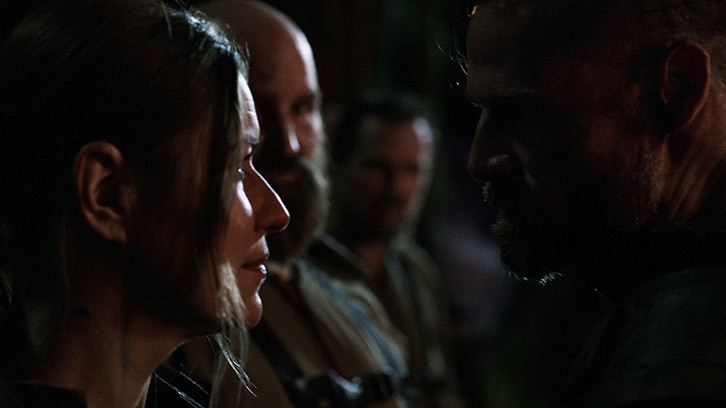 Diyoza, Kane, Raven, Emori, Murphy, Echo and Shaw were last seen heading to the drop ship, but Abby wasn't among them, having been captured by McCreary's men. That will no doubt cause issues in the near future. What we have now is one failed overthrow and one successful overthrow. Instead of one leader with an eye for peace and another with an eye for war, both leaders now have an eye for war. McCreary made clear in no uncertain terms that he wants to annihilate Wonkru, and Octavia hasn't been swayed away from marching into battle. What will happen next is unclear because regardless of who ends up leading Wonkru, McCreary won't entertain the slightest hint at a surrender and will go all out unless something drastic changes. That is likely to be the health of his men, and himself, because that is a ticking time bomb. They may have Abby, but they don't have her machine, and if push comes to shove, McCreary's men may favor living under Diyoza rather than dying at war under McCreary. As much as I don't want it to happen, it's more likely than not that Madi will overthrow Octavia as the leader of Wonkru. If, as Heda, she is potent enough to instantly swing the guard who was ordered to kill her and Clarke, she won't have any trouble bringing more of them over to her side. Adding further intrigue if this happens will be how much of a proxy leader Clarke becomes. What's most irritating about all this is that the Flame is back for certain. The writing was on the wall a few episodes back, but there really isn't much of a reason for an old, controvertial and debatably liked storyline to be reintroduced. Perhaps what's most concerning to me is that a new Heda will split two groups (Wonkru and the prisoners) into three, with Wonkru being divided according to loyalty to Heda. The 100 as a series needs to look towards unifying its factions and having them work together to survive and build a new post-Praimfaya world. I thought this series turned a corner on this front two episodes ago, and for the sake of the series I hope Madi, if she ends up leading Wonkru, can unite everyone pretty quickly and maybe continue working toward making my dreams for this series a reality. Either you come with us, or we'll kill you. There were a couple other odds and ends that interested me. Firstly, the hint at some chemistry between Raven and Shaw was surprising. It wasn't acted that well, but I'm not against Raven getting to know Shaw on a more personal level. Her ultimatum to him when she told him they were escaping was cleverly done, however, and suited the characters nicely. Secondly was the eye contact made between a captive Abby and what can probably be described as a highly unlikely undercover ally in Vinson. He will be the key to getting her out of McCreary's hands. Finally, I didn't feel I connected with this episode enough on an emotional level as well as I have done with the previous couple. A big part of that was the general predictability, which I haven't talked about in this review yet, but was an element that was present several times. 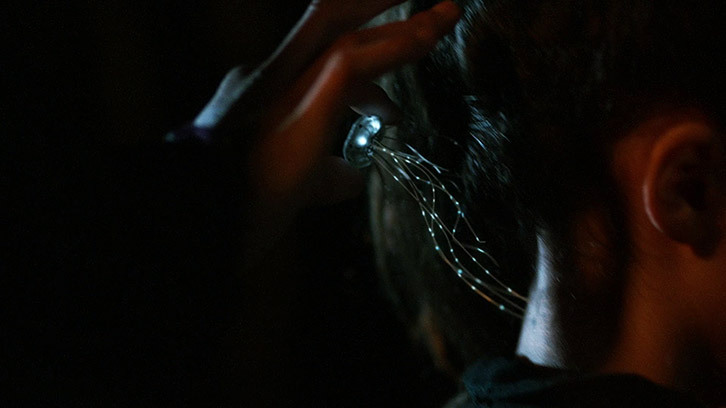 Once Octavia woke up in the middle of the episode, I knew the game was up for Bellamy, and by association Indra and Gaia. The tears welling up in Octavia's eyes as she condemned her brother to fight for his life was superbly done, but was too late in the piece. In summary, this is a difficult episode to review, and reading through what I've written certainly reflects that. Plot-wise, not a lot actually happened aside from Octavia clinging to power, and Diyoza not being so lucky. This episode's success will depend on what happens next week, I think. It may have been better as the first in a two-part episode, and it would have been a lot better had it not come off the back of a two week break where it needed to regenerate momentum that it simply didn't have the ability to. Regardless, I really like the look of next week's episode promo and press release. I'll be pleased to put this hour behind me and look forward to the next one. Thanks as always for reading. Don't forget to share your thoughts and theories on this episode in the comments below - they're always great to read. Until then see you right back next week.